An original score written and sung by Garrett Hughes, accompanied by Jason Schaller on guitar. 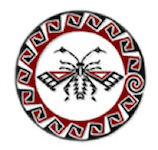 The University of Arizona Insect Collection (UAIC) is a part of the Department of Entomology in the College of Agriculture and Life Sciences at the University of Arizona. Located in the heart of the American Southwest, the University of Arizona's Insect Collection (UAIC) contains approximately 1.5 million terrestrial arthropod specimens representing 24,000 species mostly from the Sonoran Desert Region and the Madrean Sky Islands, one of the most biodiverse regions of North America. The collection is located in the Forbes Building on the UA campus and is open to the public Monday - Friday from 8 am to 4 pm. Every year the UA Department of Entomology hosts the Arizona Insect Festival. The event takes place on a Sunday morning in September. Thousands of visitors learn about the importance of insects in our daily lives and discover insect-based research taking place at the University of Arizona. The festival is designed for folks of all ages and booths include cockroach cuddling, glow-in-the-dark insects, bug illnesses, an insect sting pain scale, and caterpillar petting. Guests are invited to taste different edible bugs and try their hands at bug-themed arts and crafts. Follow us on the Arizona Insect Festival Facebook page and on the Arizona Insect Festival website. The EIS program includes 33 faculty members representing 8 academic units. The program encourages students to develop cross-disciplinary connections and bring together aspects of insect biology in unconventional ways. EIS faculty and students are collegial, collaborative, and highly productive. Prospective students from a variety of academic backgrounds are encouraged to apply to the EIS program. Find out more about the EIS program and application instructions here. This NIH-funded program offers up to three years of support to outstanding candidates seeking advanced research training and preparation for the additional demands of an academic career. Research areas mainly focus on Insect Science but do not exclude other areas of the biosciences. Each trainee will participate in several PERT program components designed to prepare trainees to be successful in tenure track academic positions. Read more here.